On of my very favorite jewelry designers, Sherry of Pequitobun, is offering Chic and Charming readers a limited time discount in honor of C&C's first birthday! For the next week, you can take 10% off of any Pequitobun purchase with the discount code "chicandcharming." I simply adore Pequitobun's aesthetic and philosophy. 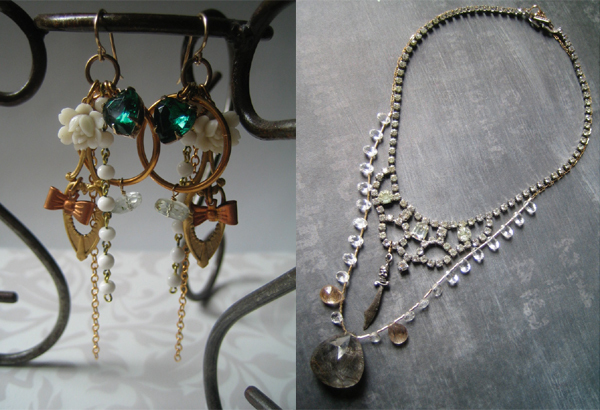 Sherry reuses vintage pieces with fabulous gemstones and funky designs. Some of her pieces are extra girly- perfect for girls like me, but others have a bit of an edge- perfect for a girl with a punk rock streak. I'm such a big fan, that Pequitobun is the only online store that I've ever accepted an individual advertising banner from for Chic and Charming. Now I just have to decide what to use my discount on...I'm thinking about "Held Tears" and "Sword and Shield." How about you? 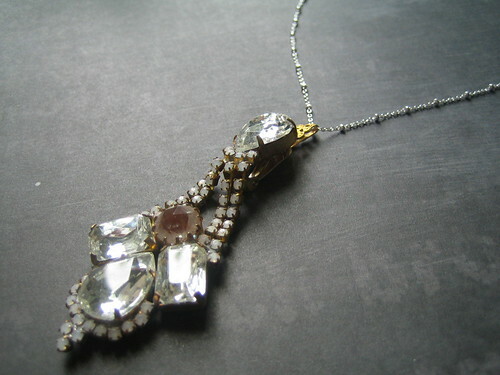 I have left a diamond for you on my blog!